The Governors Highway Safety Association (GHSA) announced on February 28 that an estimated 6,227 pedestrians were killed in 2018, an increase of 250 deaths over 2017. Since 2008, U.S. pedestrian fatalities have increased 41 percent and now account for 16 percent of all traffic fatalities, according to the GHSA. The GHSA reports that more people are being killed by vehicles because of the increase in pickups, SUVs, and crossover utility vehicles on our roads. Pedestrians, who are involved in accidents with these vehicles, are more likely to die or suffer life-threatening injuries because the vehicles are bigger, heavier, and more powerful. Other factors involved in the increase of pedestrian deaths and injuries are the growing population, distracted drivers, and a strong economy, prompting more drivers to be on the roads driving more miles. Five states accounted for nearly half of the pedestrian fatalities in the first half of 2018, according to the GHSA. These states are Florida, Arizona, California, Georgia and Texas. A recent accident in Fort Myers involved a pedestrian who died while attempting to cross at a Fort Myers intersection on March 3. NBC2 News reported the unidentified pedestrian was waiting in the middle of the intersection when a Nissan Altima drove into the intersection striking him. Statistics show that pedestrian/vehicle accidents happen more often on sidewalks, in crosswalks, or on the side of the road. 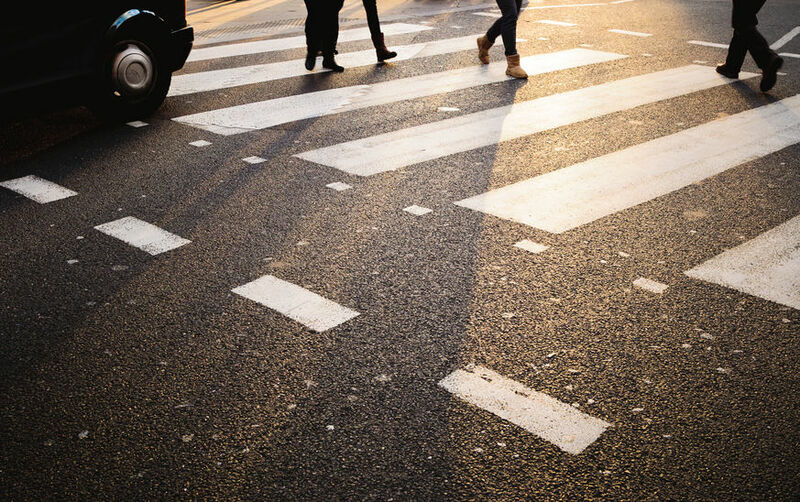 Pedestrian injuries are serious and the ramifications can be overwhelming. Should a pedestrian be in an accident with a vehicle, the driver may be held liable for damages. The injured plaintiff may be entitled to compensation for past and future medical care expenses, past and future lost wages, past and future pain and suffering, and past and future loss of enjoyment of life. “Injured plaintiffs have four years from the date of injury to bring a personal injury case (two years for wrongful death). We at Spivey Law Firm, Personal Injury Attorneys, P.A. urge those who are injured, or their families, to contact our firm immediately after receiving medical attention. As time passes, so does the evidence and memories of those involved or witnessing the accident,” said Randall Spivey, Cape Coral Accident Attorney. Cape Coral Accident Attorney, Randall L. Spivey is a Board Certified Trial Attorney – the highest recognition for competence bestowed by the Florida Bar and a distinction earned by just one (1%) percent of Florida attorneys. He has handled over 2,000 personal injury and wrongful death cases throughout Florida. For a free and confidential consultation to discuss your legal rights, contact the Spivey Law Firm, Personal Injury Attorneys, P.A., in Lee County at 239.337.7483 or toll free at 1.888.477.4839,or by email to Randall@SpiveyLaw.com. Visit SpiveyLaw.com for more information. You can contact Spivey Law Firm, Personal Injury Attorneys, P.A.in Charlotte County at 941.764.7748 and in Collier County 239.793.7748.